Maryland crab bisque, this was very rich with a generous amount of crab -- 'tis impossible to dislike. Maytag blue cheese potato chips, oh man. These were really highly rated, but we did not expect so much...I was already starting to feel full before we started the entrees. My food! 4 oz filet and scallop combo, with sides of brussels sprouts and potato au gratin. Everything tasted incredible and this was my first time ordering steak at a restaurant, so it was such a treat. Even the sides were top notch, I could eat them as my main and be happy. 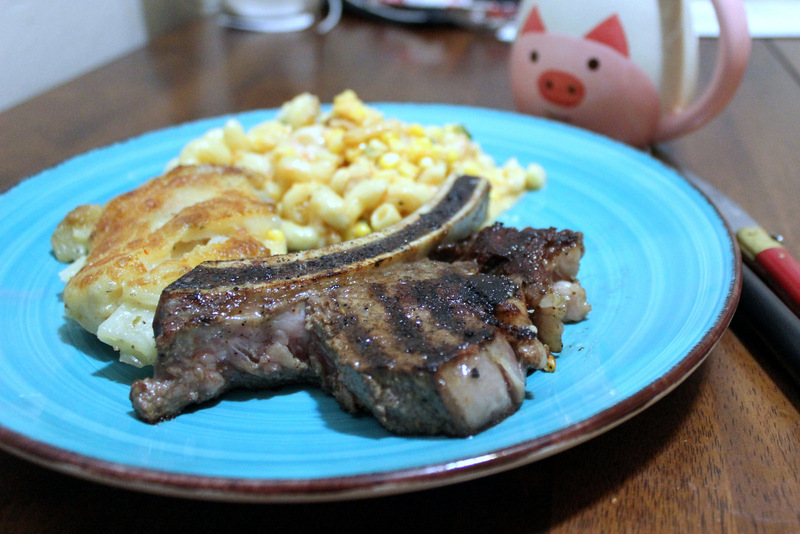 Khoi's 18 oz bone-in ribeye with sides of mac n' cheese and creamed corn. His steak was hugeeeee. Berries and cream for dessert, we settled on something light to cleanse our palates after the meal. I took home the leftovers and got another gourmet meal at home :D This place is one of my favorites in Columbus and I definitely wouldn't mind eating here again. Hey, it was a lovely anniversary dinner. All of the food looks super appetizing. Berries and cream for dessert is quite nice and it is my favorite too. For our first anniversary we had visited SF. At the rooftop event space San Francisco we had a romantic Mexican dinner which turned out to be a wonderful experience.